Robert's Sister: What Epilepsy Means to Me: Gwen, Cindy and Toto too! What Epilepsy Means to Me: Gwen, Cindy and Toto too! Gwen Tilton shared her daughter’s epilepsy story and a couple of things stood out which made me feel an immediate connection to them. 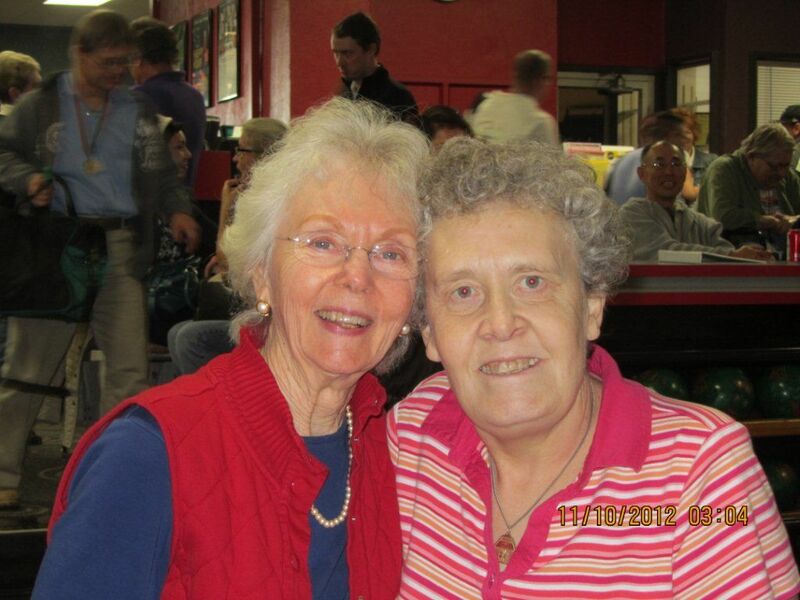 First, Gwen’s daughter, Cindy, loves to bowl! Robert loves to bowl too. (I would like bowling a lot more if I could break 100!). Second, Cindy loves animals which is something I (and my whole family) have in common with her (remember my Crazy Cat Lady retirement plan?). Best of all: Gwen had a dog named Toto. Considering I had a dog named Wizard and have a lab named Oz, this is clearly a match made in heaven! Robert’s Sister: When was Cindy first diagnosed? Tell us about the process of getting the diagnosis. She has many diagnoses: developmentally delayed, diabetes, epilepsy, major depression, gastropareses, osteoporosis, etc. Cindy had several seizures before a neurologist gave us the diagnosis that she had epilepsy. She had probably been having Petit Mal seizures for some time, perhaps years before and we thought that she was just not paying attention, and staring off. She had graduated from special education classes at Hiram Johnson High School before she began to have Grand Mal seizures. Robert’s Sister: Did the kids or teachers at school treat Cindy differently because she had epilepsy? Robert’s Sister: What treatments has Cindy tried? What worked? What hasn’t worked? With her first diagnosis, Cindy was put on Dilantin medication and it seemed to work pretty well at controlling the seizures. After several years her gums began to swell and bleed so the dentist suggested that we change medication. Even though the neurologist directed a slow exchange to Tegretol that took almost a year, she had many seizures making the change. She also takes Phenobarbital. Her epilepsy is under control with Tegretol and Phenobarbital medication and her last seizure was about four years ago. Robert’s Sister: Do you think the medications affect how Cindy feels? For several years she had dizzy spells which we could not explain but when her Phenobarbital dose was reduced the dizzy spells went away. Diabetes is Cindy’s biggest challenge. She wears an insulin pump and must know what her blood sugar is about 6 or 8 times a day with finger sticks. She must count the number of carbohydrates she eats and let her pump calculate how much insulin to give. It has been difficult to distinguish between a seizure and a low blood sugar reaction, if she passes out. Of course, the treatment is different. Cindy has had at least eight rides to the Emergency Room in an ambulance, because she has fallen outside. Nowadays, everyone has a cell phone and calls for help when they see her down. Cindy hates to ride in an ambulance because on the way to the hospital they automatically start an IV and she hates that. She has made us promise not to call an ambulance when she passes out. I smile when I think about all of the things that we have been through together. Cindy may not like what is happening to her but she has great resilience. She bounces back from all of her incidents. Robert’s Sister: What is your favorite memory of Cindy? Cindy comes to stay overnight with my husband Glenn and I every Sunday night. Cindy has a special bond with animals, and never forgets their name. They seem to take a liking to her right away also. She particularly loved our dog, Toto, a Maltese who died in September. I thought maybe she would not want to stay anymore but that is not true, she still is happy to come. Toto, our Maltese dog, loved Cindy the best, even more than me. He would choose to sit on her lap and sleep with her and growl displeasure if I tried to move him. She brought him a squeaky toy every week when she came to our house for an overnight stay. He started looking in her backpack for his new toy the minute she came into the house. Our house was soon filled with 50 toys and he knew which one was the new one. Robert’s Sister: Do you ever wish Cindy didn’t have epilepsy? The biggest benefit of having epilepsy is Cindy knows that she could have a seizure if she does not take her medication so she takes all of her various pills (34) a day willingly. Epilepsy is old as a disease; it is recorded in the Bible. I am grateful that many types can be controlled by medication, including my daughter Cindy’s seizures. This is a picture of Cindy and me taken this week at Special Olympics Bowling tournament in which she has competed. She is very proud of her bronze metal and is wearing and showing it to everyone she sees. Even though there were only three competing in her division, she is a winner. Bowling is one of her great accomplishments. Last year, the week before the tournament, she fell and fractured her right shoulder in three places. She was in a lot of pain for several months and had physical therapy to regain the use of her arm. It is rather a miracle that bones know how to grow back together in the proper form to be useful again. Our bodies are wonderful things. Robert’s Sister: Please tell us about any organizations you support. 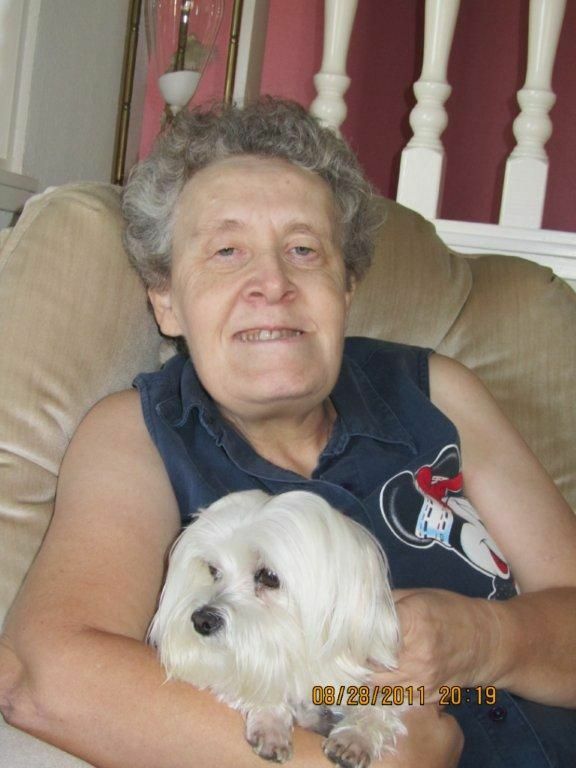 Cindy’s disabilities have enabled her to be put on Social Security Income. Cindy is very fortunate to have ALTA helping to support her. They helped her to go to job training when she graduated from high school. They have supported her in her need to have 24/7 care at her house. The company InAlliance supports her with trained help to deal with her health problems and work to train her so someday she may be self-maintaining, not likely but a nice goal. Robert’s Sister: Thank you, Gwen, for sharing Cindy (and Toto) with us. Sounds like I'm due to take Robert bowling! Very nice blog article. What a great way to share the trials and tribulations of people with Epilepsy. I grew up with Cindy and have many good memories together as kids. I know she has been through the ringer with her medical problems and has a lot more to deal with than we ever realized. My hat is off to you and how you are supporting Robert through sharing his story along with others stories with the same medical condition. Epilepsy is not often recognized as a crippling condition. Cancer and heart problems seem to take the higher stance which is unfortunate. I am inspired by those who live with the symptoms. No fun:( Thank you for sharing. I had only driven two times in my life - never in a city - and I thought I would just buy a couple more lessons from the driving school after my package was done.